What a useless app. There was no secrets for the iPad. Just basically a guide for people that don't know the iPad. 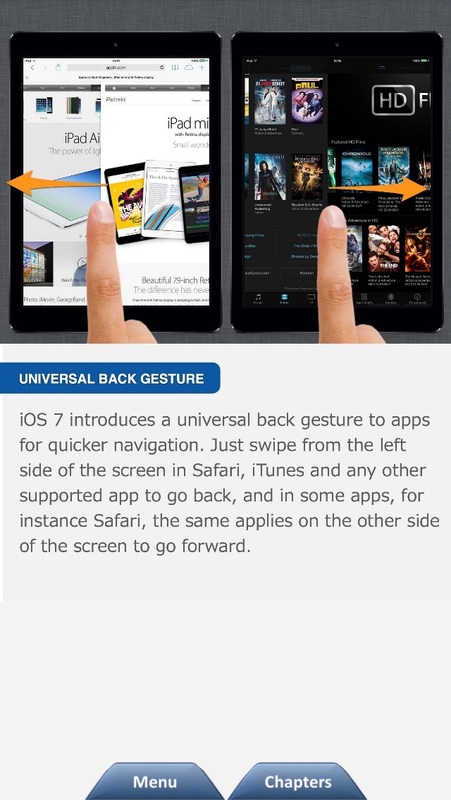 Never having experienced any Apple product previous to the iPad, I found the Tips very useful. I was able to learn the iPad much quicker than I would have on my own. I feel it was definitely worth the download. Knowing what I know about it now, I would certainly recommend it, especially to a beginner. I still refer to it on occasion. Thank you. I've had an iPhone since the 3G and got an iPad this summer. I consider myself very familiar with both devices after about two minutes of jumping around in this app I'd discovered several *really* useful things like extra keyboard features and the triple tap for reversing the color display. Kind of embarrassing, actually, because I thought there wasn't much I'd find that I didn't already know. I think it's definitely worth $1. The browsing experience does leave a lot to be desired, though. I wish you could just swipe right and left through the pages like in iBooks; it's kind of cumbersome to always go back to the menu if you're viewing it in portrait mode, although to be fair when you open the app it tells you that landscape mode is better. I find it much more comfortable to hold the iPad for reading in portrait mode. But since this is more of a reference app than a long book that you're going to read, that's not a huge quibble. Overall, it's quite useful. 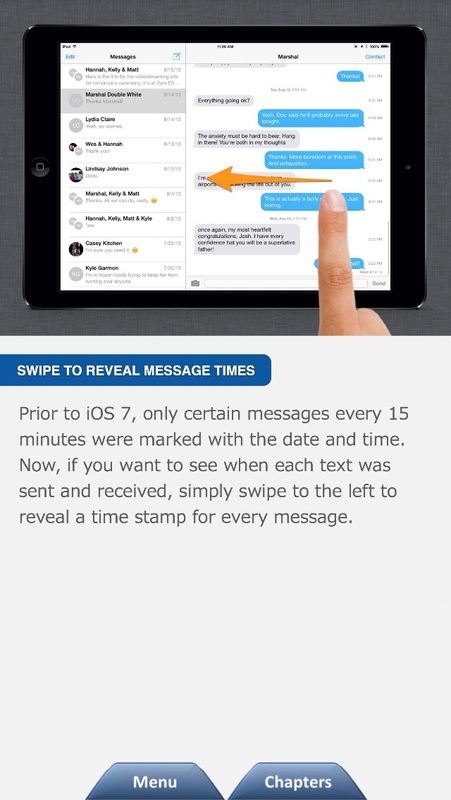 If you're new to the iPhone or iPad I would definitely recommend it. Sure you can find almost all of these tips online somewhere if you take the time to hunt them all down, but this app makes it really, really, easy and doesn't require a data connection. The tips range from the obvious (charge your battery at night) to the stupid (carry a cloth with you to clean the screen). Duh! I didn't find one useful tip. It's only a buck, but save it. It was on my device for less than 5 minutes before I deleted it. No secrets really. Just the things we all should know by now. got this app to find things on ipad i dont know how to do. No search function. wanted to find how to import pdf files into ibooks. nothing in short paragraph on ibooks about that, pdfs arent even mentioned. In short it's worthless. I was reading through the various charred and am stuck on chapter 27 can't move forward and can't move back! I am new to this and find it frustrating how do I get my money back? Did it not download right? This is very helpful for the iPad. Thanks for new update. It really helps with lots of information and pictures to show you how to apply different categories. A must have. Bought the app-can't open it.must be a secret! I'm fairly proficient with my iPad, but there were some great tips that I wasn't aware of, and this app provides a good list. 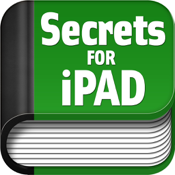 Very helpful for the iPad neophyte as well as those looking for some additional tips/secrets. Hope they continue to add additional tips with each iPad software update. Would give this 5 stars if there was an edit feature that allowed you to highlight/star/bookmark the most helpful apps. While there are great tips, it would be nice to be able to quickly find the tip you are looking for without having to read through the rest. Waste of valuable time for all but the most iPad deficient. They normally charge money for this app? I was curious and now I'm throwing this app in the trash. This app was, I learned, way too late. I really need to know about the I pad when I received it as a gift, but as with most things apple or otherwise, the unit come with virtually NO instructions. I wish I had it earlier, but later than never. If u had an iPad and now have an iPad 2, don't waste ur money all can b found elsewhere for nothing....only 4 beginners. Great app. Improvements are awesome! 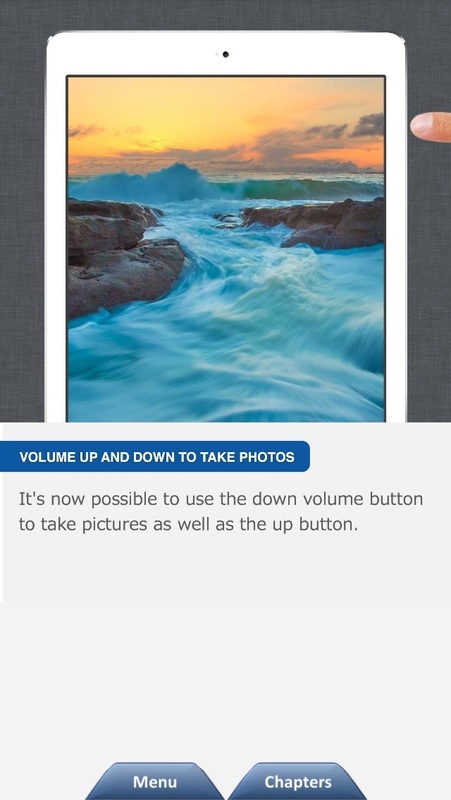 I love this app, step by step directions that has solved several problems I was having. 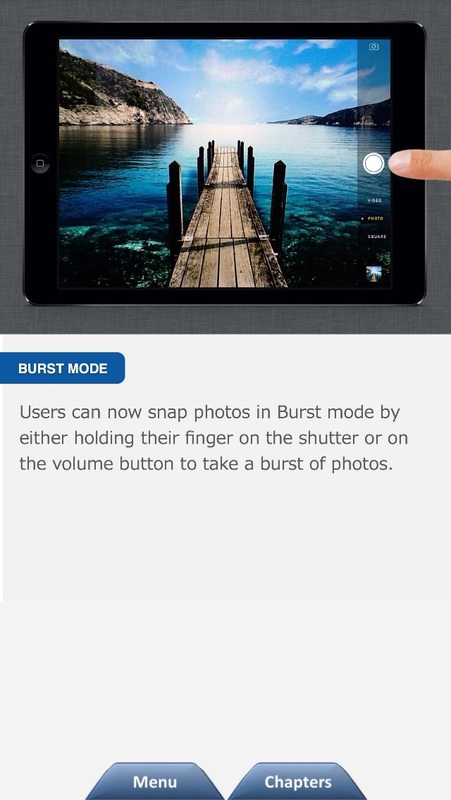 This is must for anyone who wants to get the most from their iPad. The former version of this app was great. I was delighted to see they had up graded a great app. I upgraded ad am sorry I did. The hand swipes do not work properly. The app constantly moves from the chapter I am trying to read to one of its choice. I wish I had not upgraded and would like to get the old app back. Is this possible? False information written in the battery section. Lithium Polymer batteries DO NOT develop a memory so cycling the battery is a waste of time. Heat can harm the battery, cold can also harm the battery. Don't waste your money on any of the battery monitoring applications. I have only looked at the first ten tips, and am so glad I bought this app. 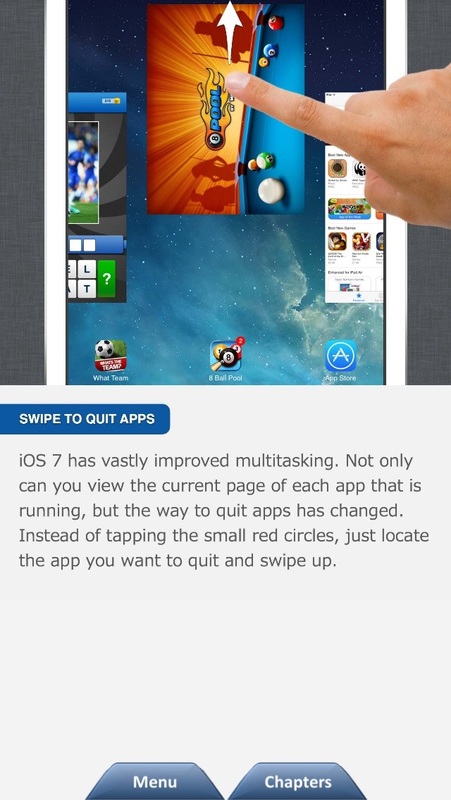 Easy, quick, useful and the absolute pick of the litter when it comes to iPad self-help. Will recommend this to all my friends and co-workers! Thanks to the developers for all the time and frustration you have saved me! Having just purchased an iPad, I obviously needed a tutorial. My experience has been that these electronic devices can do even more than I could imagine. A coworker could not praise this app highly enough and insisted that I purchase it. Very glad that I did! The vast majority of these 'secrets' are just common sense. Don't waste your time sifting through all of them. I liked this app. I bought my ipad in a hurry and had no experience with apple. This is easy to use and gave me good info to get started. Great app, well thought out and easy to understand. Well worth the buck it cost. Would recommend this app to anyone who owns an iPad.